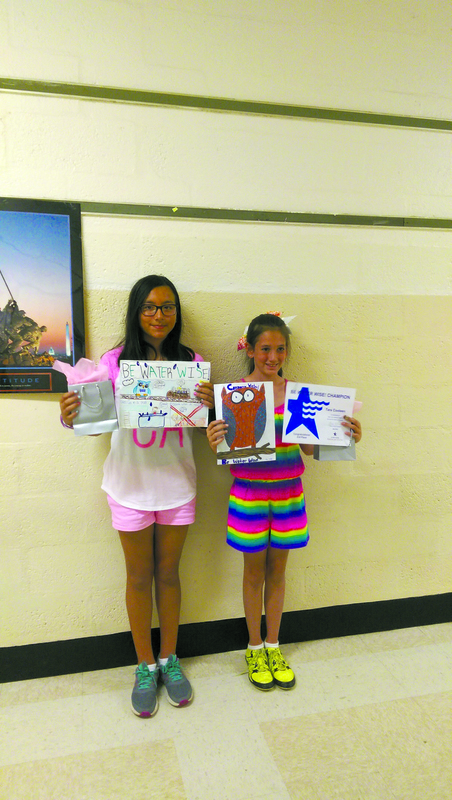 Third-place winner Mia Frattura (left) and second- place winner Tara Cooleen (right) of Gardiners Avenue Elementary School in Levittown pose with their award-winning New York American Water ‘Be Water Wise!’ contest entries. President Brian Bruce visited the school to recognize the winners and present them with certificates and prizes. The annual art contest is held to educate young students about water conservation. New York American Water recently presented awards to local elementary school students who finished in first-, second- and third-place in its annual Be Water Wise! 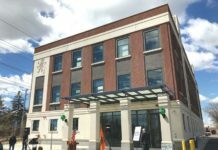 art contest. 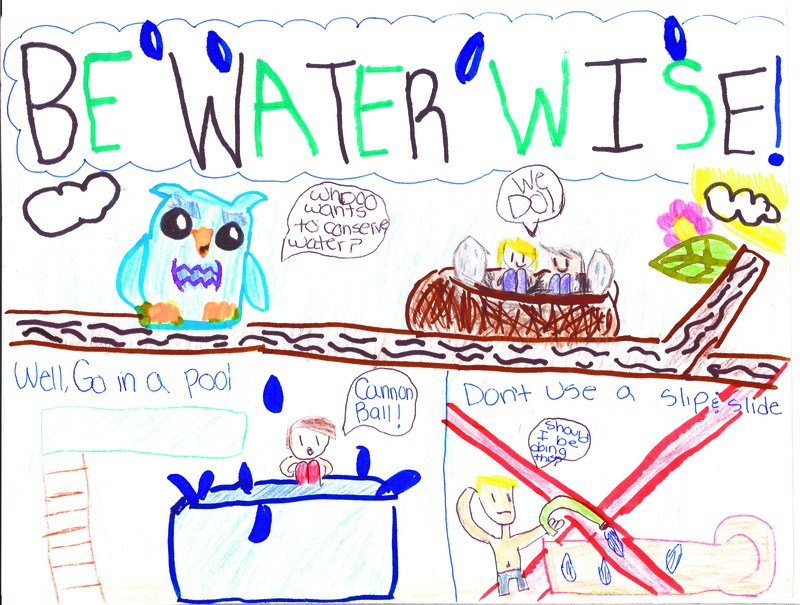 The annual art contest allows fifth-grade students in New York American Water’s service territory to creatively express the importance of conserving water, the most precious natural resource. The winners included Olivia Harris of East Lake Elementary School in Massapequa Park and Tara Cooleen and Mia Frattura of Gardiners Avenue Elementary School in Levittown. 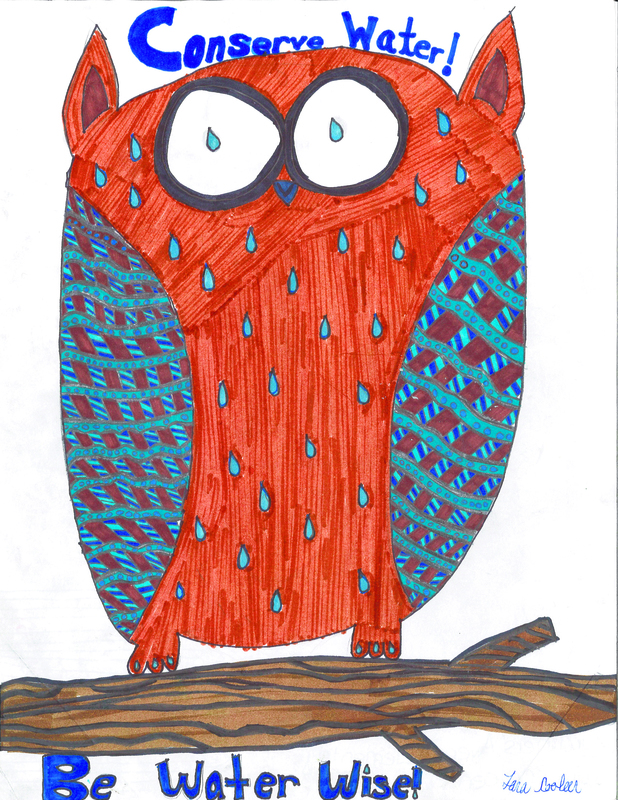 Cooleen received the second-place honor for her drawing of an owl, reminding all to be ‘water wise.’ She received a $50 American Express gift card. Frattura was awarded the third-place honor for her artwork detailing advice to conserve water. She received a $25 American Express gift card. The remaining participants of the contest received a certificate and a Be Water Wise! reusable water bottle. New York American Water’s annual art contest is intended to inspire students to learn more about their local water supply and the influence they have to impact it, today, and in the future.